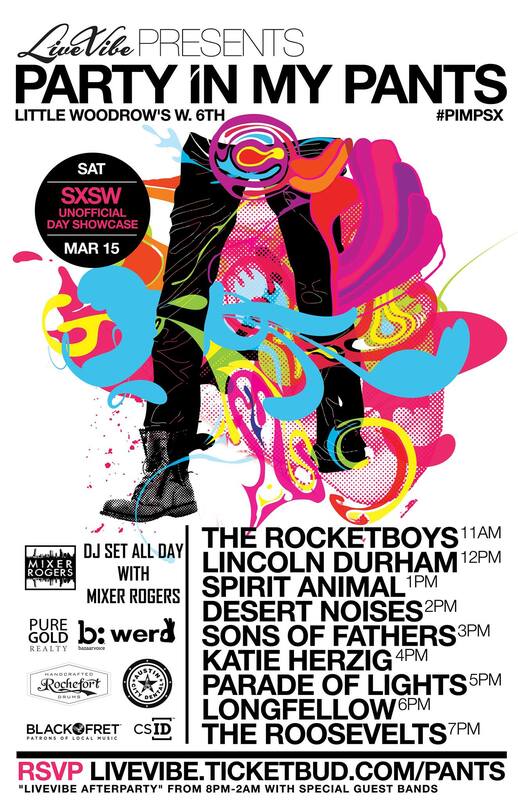 I’ll be at Little Woodrow’s on 6th street all day, Saturday March 15th, alongside a lot of great bands. Presented by Live Vibe. No wristband needed. Come say hello. This entry was posted in Shows and tagged 6th, 6th st, 6th street, Austin, austin centric, collective, DJ, little woodrows, Live, live vibe, Mixer Rogers, Party, pimpsx, saturday, Show, Street, sxsw, Texas. Bookmark the permalink.